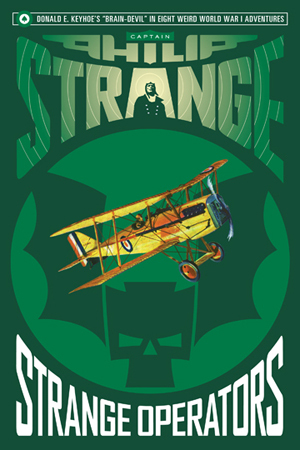 A mental marvel from birth, who used his talents on stage as a boy, Philip Strange is now known as “The Phantom Ace of G-2″ by the Allies during WWI. 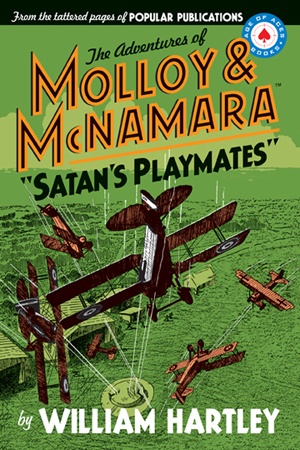 A boyhood prank comes back to haunt the so-called Brain-Devil when he meets his vaudeville nemesis in the Theater of War. Karl von Zenden, the one-time “lightning-change” Man of a Thousand Faces, is now using his stage tricks as agent Z-13 for the Wilhelmstrasse—and he’s not one to drop the curtain on a grudge. 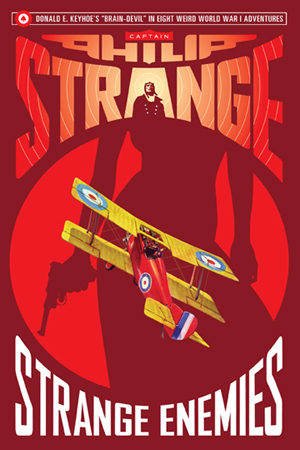 Now backstage rivals are front-line enemies in an exclusive engagement of “Spy vs. Spy.” And when Strange gets into the act and uses his own makeup-mastery, the Great War becomes the Greatest Show on Earth! Ladies and gentlemen, presenting for your entertainment … two strange operators head-to-head in eight pulp classics from the pages of Flying Aces magazine! Take another trip through the imaginings of Donald E. Keyhoe, where the WWI war skies are filled with giant bats, invisible fire, and beautiful spies. 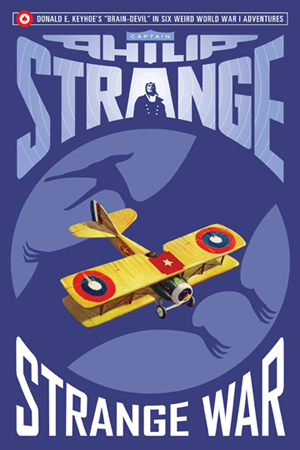 And where America turns to its own unnatural secret weapon: Captain Philip Strange. A mental marvel from birth, he was so terrifyingly effective as the Allies’ top agent that the Germans were offering a king’s ransom for his death. 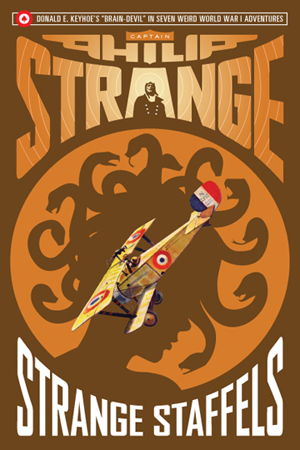 This third volume of weird WWI adventures collects the eight stories featuring Captain Philip Strange’s nemesis—Karl von Zenden, the man of a thousand faces—Germany’s most elusive spy!